It has been one of the terrible paradoxes of the modern global refugee crisis: Often those countries least capable of responding to the complex needs of refugees are the ones forced to shoulder the greatest burden in caring for them. Money may come in from more affluent donor states to assist in these humanitarian crises, but proximity is often the main driver of humanitarian obligations. It is the local host nations which face the greatest struggles and social tensions when former regional neighbors become refugees. That’s true in Lebanon, where 1.5 million Syrians have fled over five years of civil war—even as U.K. and U.S. authorities agonize over accepting a few thousand resettlement applicants—and it is true in Kenya, which has absorbed more than 600,000 people driven across its borders by drought, famine and regional conflict. For more than 25 years a vast refugee camp has been thrown together on the brush desert near the northeastern Kenyan city of Dadaab. With more than 330,000 mostly Somali refugees now living at this sprawling tent city, Dadaab has become the largest single refugee camp in the world. The camp has been maintained so long an entire generation of “Somalis” has been raised within its confines who have never set foot in Somalia. Living conditions in Kenya’s dusty and arid refugee camps are difficult; most still reside in tent shelters that were intended to be temporary. A minority of children receive haphazard educations; most none at all. Their parents can’t work and can’t plan for a future. Camp residents are prohibited from leaving to begin new lives by migrating into Kenya’s cities. The U.N. High Commissioner for Refugees, which administers the camps at Dadaab, seems perpetually resource-starved. U.N. officials regularly receive donor commitments that represent barely half of the camps’ basic needs. Life for camp dwellers is grim; gnawed by uncertainty and hunger, they have little hope to somehow escape to a better future. It is indeed hard to imagine that things could get much worse at Dadaab, but by this November, they may. In May, Kenyan authorities confirmed their intention to close Dadaab and Kakuma, another camp that has been home to almost 200,000 refugees from throughout the region, and repatriate their inhabitants in Somalia, Sudan and South Sudan and other nearby East African and Horn of Africa states from which these refugees escaped: Ethiopia, the Democratic Republic of Congo, Burundi, Rwanda, Eritrea and Uganda. Kenyan officials say the camps have been a drain on Kenya’s resources and its environment, but they primarily justify the closing of the camps because of growing security concerns. With encouragement and support from the United States, Kenya has been confronting the Shabab Islamic extremist movement in Somalia; the terrorist group in turn has authored a number of spectacular and deadly attacks on Kenyan soil, including the assault on Nairobi’s Westgate Mall in 2013 in which 67 were killed and the massacre of 148 students at Garissa University College in April 2015. Officials charge that Shabab militants planned these attacks from within the Dadaab camp; the camps themselves, they say, have become vast recruitment sites for terrorists. These allegations have been disputed by human rights advocates. 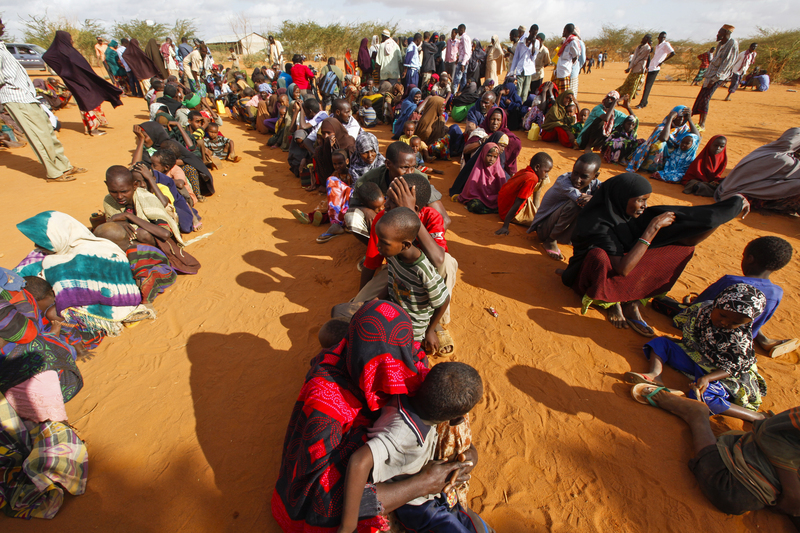 “Officials have not provided credible evidence linking Somali refugees to any terrorist attacks in Kenya," Human Rights Watch officials countered in a recent statement. Some diplomats believe this latest threat to close down the camps—the government first raised the prospect of clearing out its refugee sites in 2015—is part of a desperate ploy to squeeze more cash out of donor states. If so, Kenyan officials have begun an elaborate bluff this time. They have already shut down the government’s Department of Refugee Affairs and now new refugees who continue to enter Kenya each day from neighboring states are not being officially registered. Their status and prospects have thus become even more perilous than that of official refugees. Kenyan officials insist they can carry out November’s vast repatriation in a humane manner and are urging U.N. officials to assist them to that end, but few humanitarian and human rights advocates believe such large numbers of people could be repatriated without the creation of vast regional and personal chaos. Only a few thousand refugees, perceiving the end of Kenyan patience with the camps, have so far voluntarily returned to their home countries. The Kenyan bishops’ concerns are shared by Jesuit Refugee Service-Eastern Africa officials in Nairobi. JRS Communications Officer Angela Wells says JRS officials view the decision as “destructive, counterproductive and potentially catastrophic for hundreds of thousands of people with an international and national right to seek asylum and live in protected spaces. “We condemn any violation of the [U.N.] Refugee Convention which stipulates that refugees cannot be forcibly returned back to countries where they can face further persecution,” she adds via e-mail from Nairobi. The appeal of the bishops has so far not moved Kenyan officials to suspend their closure plans. Indeed, Kenya’s decision to repatriate Somali refugees is not reversible, President Uhuru Kenyatta told a U.N. representative on May 27. Kenyatta called on the global community to partner with Kenya to ensure that the transition to repatriation would be successful. “The train has already left the station. It’s now up to those who are interested at seeing the success of the journey to come on board,” he said. The president argues that Kenya’s action should not be interpreted as a move to abandon its international obligations under U.N. human rights conventions for the protection of refugees, pointing out that Kenya has hosted Somali refugees for decades. The decision has been criticized around the world; U.S. Secretary of State John Kerry has appealed for Kenyan officials to reconsider. But Kenyatta counters that caring for the world’s refugees is a shared international responsibility. “We have made a non-permanent situation to look as permanent,” he complains. Wells says JRS officials have little reason to doubt that the government intends to follow through on its plan by November, despite the international uproar that has been generated. “However, we are not convinced this can realistically be done humanely given the sheer numbers of people with genuine reason not to want to go back home,” she says. “The fix is not to send these people back.… Somalia hasn’t had a functional government for 25 years. There is a reason so many have fled from it. They want to live; they’ve fled for their lives.” Father Hollenbach suggests that more regional violence and instability may be the ultimate result of a campaign to force Somali refugees back home. He points out that whatever the outcome of the diplomatic brinkmanship initiated by Kenya, the status of refugees both in East Africa and other hotspots around the world needs to be more vigorously addressed by the international community. Assuming Kenya is able to move forward on its repatriation plans in November, what can returning Somalis expect to confront in their home country? Nothing good, Wells fears. “They will be added to 1 million [internally displaced persons] already within Somalia who do not have nearly the same level of educational, health or lifesaving support that the refugees in Dadaab have,” she says. Wells reports that the uncertainty created by the government’s policy shift on refugees has already heightened existing tensions between Kenyans and Somalis. “I spoke to a Somali refugee community leader today working in the Somali neighborhood of Eastleigh [a suburb of Nairobi known as ‘Little Mogadishu’], and he said there is a climate of fear in the neighborhood, that police harassment and arbitrary arrests are on the rise and that he is afraid every time he answers his phone that it will be a policeman asking for bribes to get Somali refugees out of jail. JRS officials argue that integrating and educating refugees can benefit both refugees and host communities. Wells cites a recent Oxford University study that reports that 40 percent of refugees in Uganda who own businesses are creating jobs for Ugandan citizens. Many refugees may ultimately want to go home “but until those homes are peaceful, inclusive and dignified places to live, they should be able to actively engage in their host societies,” Wells argues. While Father Hollenbach similarly urges Kenyan officials to reconsider long-standing policies that prevent the movement of refugees and their meaningful integration into Kenyan society, he is not without sympathy for the challenges Kenya and other host nations find themselves left to confront on their own. He thinks more effective international burden sharing, both for the cost of hosting refugees and for assuming the responsibility of resettling and integrating refugees in third-party states has to be meaningfully addressed. With 86 percent of the world’s refugees concentrated in the global South, states with better resources and the capacity to absorb resettlement candidates need to step up. Kevin Clarke is a senior editor and chief correspondent for America. In a previous version of this report JRS Communications Officer Angela Wells was incorrectly identified as Angela West.